Rich editorial and multimedia content. Enhanced experience by the use of horizontal and vertical iPad format. High quality pictures of the most famous places to visit. 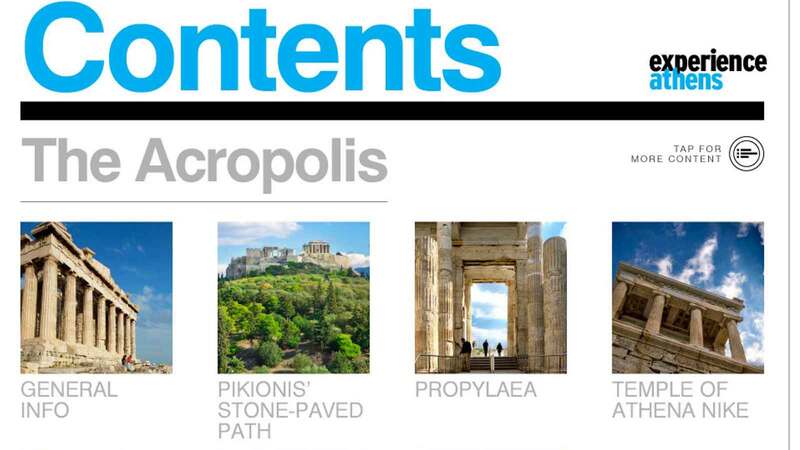 The Acropolis monuments as Parthenon, Caryatids, Erechtheion, The Walls. Athens Archaeological Sites as the Temple of Zeus, the Ancient Agora (market),Thissio, the Roman Agora, the Prison of Socrates. 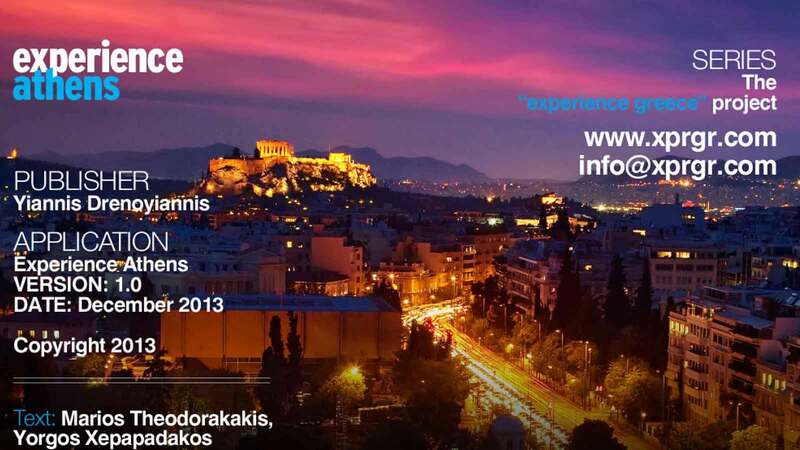 Modern monuments and buildings as the Metropolitan Cathedral, the Observatory, the National Theatre, the Varvakios Market in Athinas str, the famous Plaka and Monastiraki neighbourhoods, Gazi, Psiri and many more. 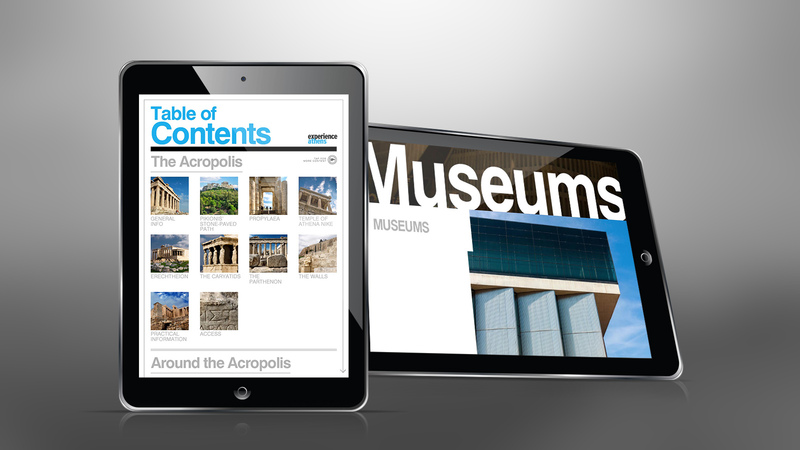 The New Acropolis museum among 10 others. Useful information, admission fees and visiting hours for the museums and the archaeological sites. 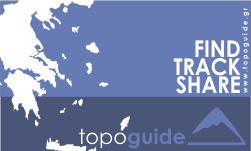 We provide travel information, photos, digital maps and videos about Greece. 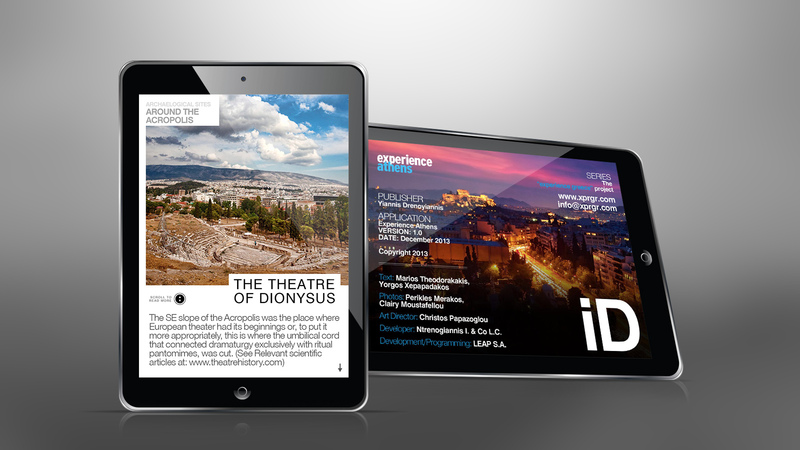 We have also created the Experience Greece project, including fully interactive and original travel applications for smartphones and tablets. Our data base, created by field research during the past 15 years, is constantly updated. Our experience and our team of travel experts -journalists, professional photographers, cartographers, scientists- ensure the credibility and accuracy of our content.